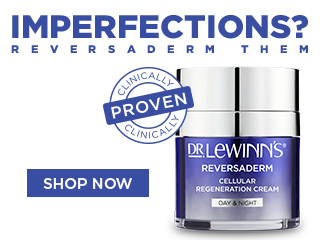 A regenerative night cream that improves skin's texture. The Ultra R4 Regenerative Night Cream is a very nourishing anti-ageing moisturiser formulated with high-performance patented Syn®-Coll (Palmitoyl Tripeptide-3), proven to visibly lift and firm skin and dramatically reduce the signs of age-related collagen depletion. It is designed to boost skin's natural regeneration process whilst sleeping. Matrixyl® 3000 peptide and a unique Resurrection Plant (Haberlea Rhodopensis), help to reduce the appearance of wrinkles and improve skin's moisture and texture. *Results based on an 8 week clinical study of 35 women using the Ultra R4 Restorative Day Cream, Ultra R4 Regenerative Night Cream & Ultra R4 Eye Repair Cream. Independent Laboratory Study. Apply nightly to face and neck area after cleansing and toning. For optimum results, apply when the skin is still damp after toning, over Ultra R4 Ultimate Lift Serum. Use in conjunction with Ultra R4 Eye Repair Cream. For Superior benefits while you sleep blend 1 pump of Ultra R4 Ultimate Lift Serum with Regenerative Night Cream. Avoid direct contact with eyes. Incase of eye contact, rinse immediately with water.